Ahmed Boukhari writes: Another generation cannot “grow old as refugees”. 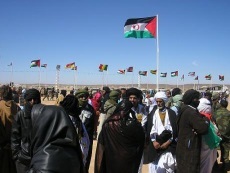 The UN must “assume its full responsibility” for advancing resolution of the conflict between the Saharawi people and Morocco over Western Sahara. This entry was posted in Human Rights, Political issues on September 14, 2016 by appleton.